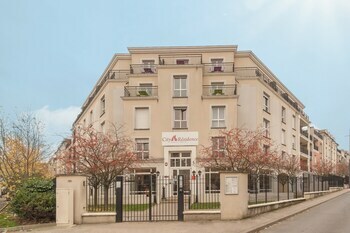 With a stay at City Résidence Marne la Vallée - Bry sur Marne, you'll be centrally located in Bry-sur-Marne, within a 15-minute drive of Centre Commercial les Arcades and Parc Floral de Paris. Featured amenities include multilingual staff, laundry facilities, and an elevator (lift). Planning an event in Bry-sur-Marne? This apartment has facilities measuring 215 square feet (20 square meters), including a meeting room. Self parking (subject to charges) is available onsite. With a stay at Les Magnanarelles in Maussane-les-Alpilles, you'll be within a 10-minute drive of Chateau des Baux and Alpilles. With a stay at Résidence Le Goléon Val Ecrins, you'll be centrally located in Mont-de-Lans, steps from Ecrins National Park and Les 2 Alpes. Self parking (subject to charges) is available onsite.